Blackburn Rovers have failed in their bid to sign midfielder Kim Bo-kyung after an application for a work permit was turned down. 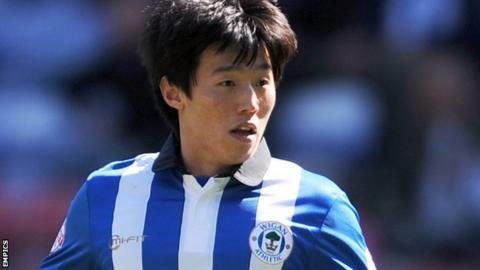 The 25-year-old South Korean is available on a free transfer after his short-term deal with Wigan expired. Kim moved to the Football League with Cardiff City for £2m from Japanese side Cerezo Osaka in 2012. Rovers have signed two new players so far this summer, striker Bangaly-Fode Koita and midfielder Sacha Petshi.